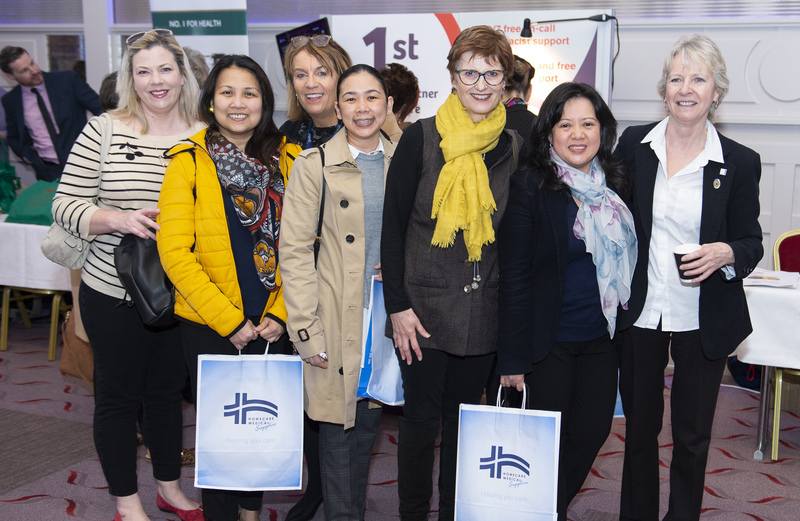 Northridge House Education and Research Centre, Cork, which is operated by Saint Luke’s Charity, Cork, hosted its 7th Annual Conference in the Radisson Blu Hotel, Little Island, County Cork on Thursday April 11th. 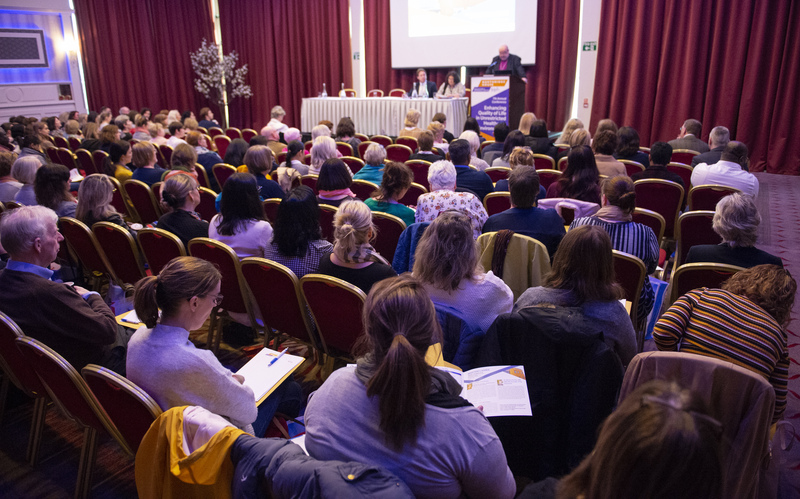 The conference is now the leading conference in Munster for those working with older adults. 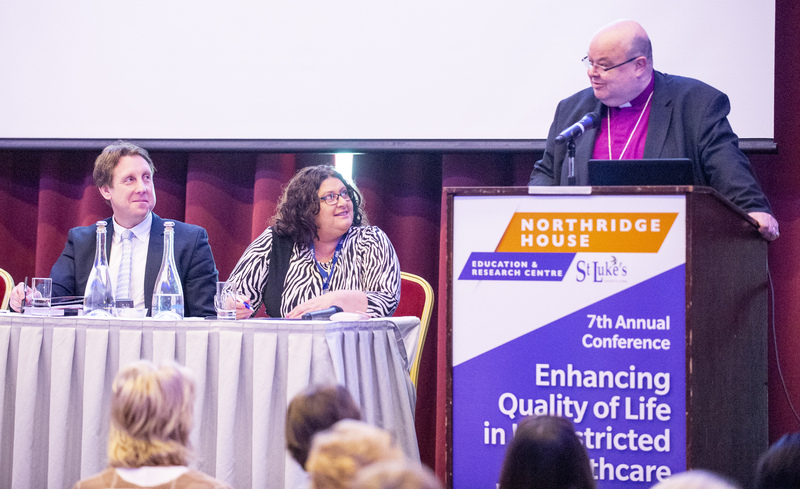 Northridge House Education and Research Centre, at St Luke’s Charity, Cork ,7th annual Conference – Enhancing Quality of life in Unrestricted Healthcare Environments – held at The Radisson Blu Hotel, Cork. 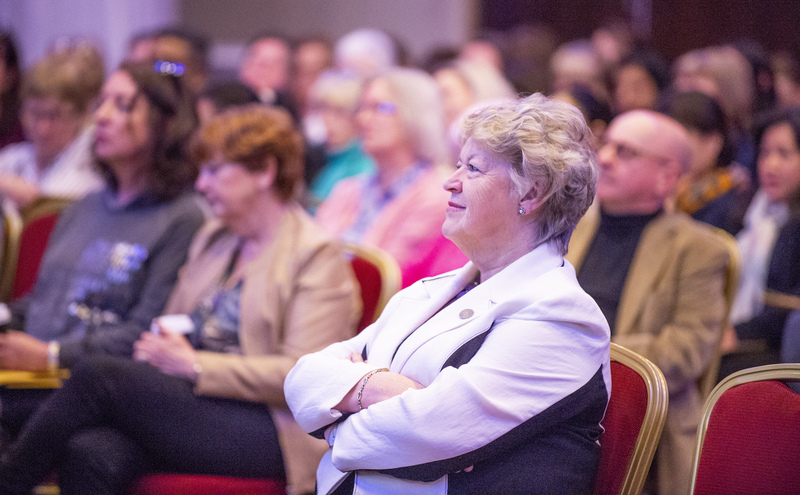 The conference theme this year was ‘Enhancing Quality of Life in Unrestricted Healthcare Environments’ which was chosen to reflect current legislation and upcoming HIQA (Health Information and Quality Authority) thematic inspections. A full conference room with over 175 attendees was welcomed by the President of St Luke’s Charity, and Chairman of the Board of Directors, Dr Paul Colton who encouraged the attendees to slow down and enjoy the broad canvas being presented on the day. 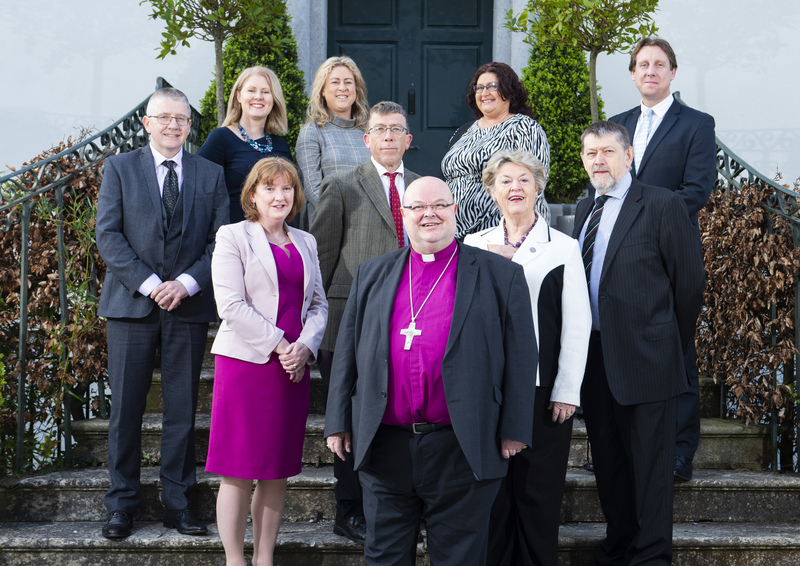 Bishop Paul Colton, Chairman of the Board of Directors, gives the opening address at the conference with, Dr Catherine Buckley, and Mr Peter Groarke, Ronan, Daly, Jermyn, Solicitors. Prof. Amanda Phelan (UCD) gave the key note address on Restrictive Practice and understanding how we promote rights. Mr. Peter Groarke (RDJ Solicitors) and Prof. Shaun O’ Keeffe (NUI, Galway) spoke about the implications of the forthcoming Capacity Legislation from differing perspectives. Dr. Suzanne Timmons (Mercy Hospital, Cork ), Ms. Deirdre Lang (National Lead Older Persons Service, HSE) and Ms. Fiona Ryan (Physiotherapist at St Luke’s Home gave unique insights into the areas of psychotrophic medication use, frailty and the physiotherapist’s approach to restraint reduction. Members of staff from St Luke’s Home, Cork at the Conference. Mrs. Nora Owen, former Minister for Justice, shared eloquently her journey of care with her husband Brian following his diagnosis with Dementia. Professor Tony O’Brien (Marymount University Hospice) spoke with great insight on the journey and values of End of Life Care. Mrs Nora Owen at the Northridge House Education and Research Centre, St Luke’s Charity, 7th annual Conference, – Enhancing Quality of life in Unrestricted Healthcare Environments – held at The Radisson Blu Hotel. The following day two Master Classes took place at Northridge House with Prof Phelan explored further how a person’s rights may be enhanced and Dr Maeve Hurley (Ag Éisteacht) shared on the gift of listening. Ag Éisteacht, a charity focusing on the importance of interpersonal relationships, is based at Northridge House Education and Research Centre in Cork. The conference was a wonderful success with very positives reflections shared on social media throughout the day with a breadth of speakers and topics being celebrated. This entry was posted in Care of the Older Person, Charities in the Diocese, Church in Society, Community Involvement, Cork, Dementia Care, Diocese, Education, Northridge House Education and Research Centre, Saint Luke's Charity, Training Event. Bookmark the permalink.